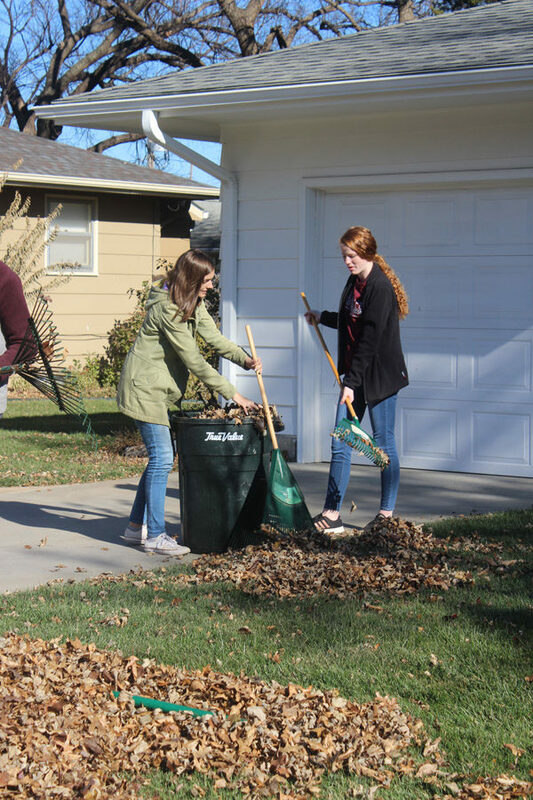 Kinsey Kleiner, Iris Klein, Caleb Rempel and Emersyn Funk finish collecting leaves at a local house. Megan Jost and Anna Jones team up to get the job done. This was their first year participating in the annual tradition. 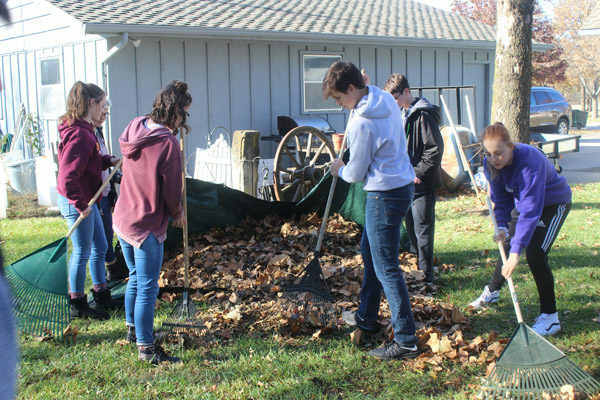 Teacher Dennis Boldt oversees students as they clean up the yard. All who participated had snacks after the cleanup. 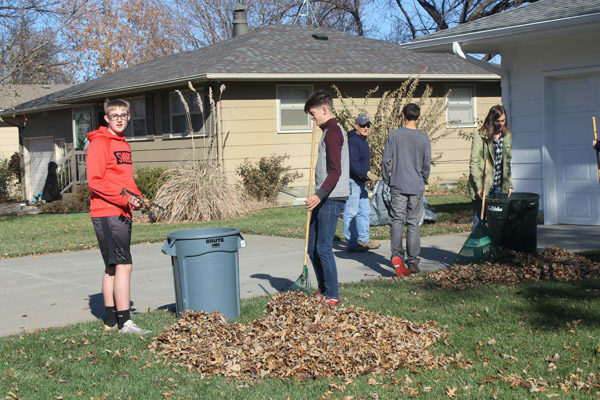 Students pictured are Connor Hiebert, Jude Bennett, Nathan Lopez and Megan Jost.